his handbook was developed to help small and medium- sized organizations better understand ISO 9001:2015. It is intended to facilitate implementation and improvement. 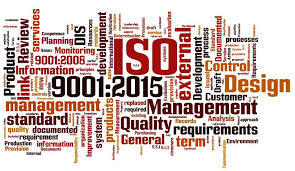 The establishment, implementation, and maintenance of an ISO 9001–compliant quality management system (QMS) should allow the organization to experience multiple benefits beyond the achievement of certification. Organizations should also see improvements in the quality of products, customer satisfaction, and process effectiveness—all of which ultimately have a positive impact on the bottom line. It is expected that some readers will have already established a QMS. This handbook will serve to reinforce good practices and will help you better understand the intent and value of some of the requirements of ISO 9001.